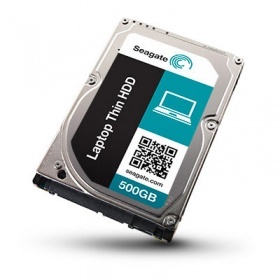 Laptop Thin HDDs include Seagate SmartAlign technology1. This innovation provides easy access to all the benefits of the new Advanced Format 4K sector standard — no utilities, no extra steps. AF drive migration happens automatically in the background. The drive’s performance is not affected, and there is no need for the time-consuming utilities that are required by other AF-enabled drives. 1Seagate SmartAlign technology may not be available on all models. Please refer to the data sheets the SPECS tab. Seagate Laptop Thin Self-Encrypting Drives deliver government-grade encryption without performance degradation - protecting your data where it lives. You get all the benefits of secure data encryption without the headaches.